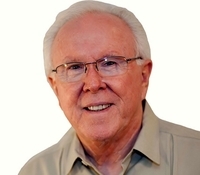 Jim Gilmartin is the founding principal of Lisle, IL based Coming of Age, (www.comingofage.com) 630-462-7163. Established in 1991, The full service 50+ Marketing Agency specializes in helping clients to increase market share and profit in 50+ customer markets. Over the past 25 years, Jim has achieved national recognition for his expertise in sales and marketing to Baby Boomer and older customers. He is an experienced business development and marketing and sales professional and provides valuable insights into connecting more effectively and efficiently with Baby Boomer and older customers. The author of numerous articles on marketing and sales, Jim is a frequent keynote speaker at professional conferences. Jim earned his B.S. and Master’s Degree from the City University of New York. He can be reached at 630-462-7163 or jim@comingofage.com. Consider an ad picturing a man (perhaps in his late fifties or early sixties standing in the water on a beach with his pants rolled up above his ankles. He appears to be watching a sunset. The caption under the image read "Live the life you've imagined" (a quote by Henry David Theroux) followed by your company logo and a sentence telling the reader how your product can help them achieve their dream. The ad allows the reader to interpret the message based on his individual needs and desires. It's a good example of conditional vs. absolute product positioning, and the concept of less is more (not putting ten pounds of copy into a five-pound page). Much research about the science of emotion has materialized in the last few decades, resulting in a shift in thinking about decision theories. The studies reveal that emotions constitute powerful, pervasive, and predictable drivers of decision making. Across different fields, significant regularities appear in the mechanisms through which emotions influence judgments and choices. This conclusion represents the learnings from the past 35 years of research on emotion and decision making. It is likely you agree; if you do not agree, perhaps you should consider learning more. Research has shown that customers' final decisions are not the direct product of the reasoning process; in fact, emotions drive Baby Boomers in their purchase decisions. The reasoning process will confirm their decision, but it doesn't start there. Thanks, Jim. Point well made. My thoughts aren't designed to replace but to suppliment the "Gold Standards" of productive marketing. Stephen's points are on the mark. As overall consumer demand shrinks and companies look for new segments of growth, the Baby Boomer women consumer represents a significant opportunity now and in the long term. But, marketing to women doesn’t mean think “pink.” It means you have to understand who they are and that a 55-year-old woman is not simply a 30-year-older version of her 25-year-old self. Getting Baby Boomer women to join your brand is not one single step. There is no magic bullet. It's a systematic rethinking of how you present your plan to women consisting of dozens of subtle shifts and fine alterations. Boomer women want you to speak to their heads and to their hearts. And, if you’re successful, women will deliver more profit to you through being loyal and making more referrals. They want you to understand them. To recognize their needs, values and dreams. They don’t want to do business with a person that condescends to them. They don’t want to be inconvenienced, made to wait, argue or defend themselves. Moreover, women are three times more likely as men to recommend brands when they know friends are looking for a particular product or service. Although men’s brains are wired differently, if you meet the needs of women you’ll most likely meet the demands of men. But not the other way around. On target, as usual, Lori. Marketers that only focus on age, income, and so forth, are not connecting with a significant portion of these populations. They should pay attention to the first sentence of the last paragraph. Great insights and a harbinger of things to come. Why bother, indeed! Most Americans absorb media that supports and validates their current beliefs. Can't attest to the 500% stat or the generalities of Baby Boomer purchase habits, but the essence of the article is sound. We marketers "tend to trend" often. Remember the old cliché about the bank robber Willy Sutton. When asked "why do you rob banks?" he replied, "That’s where the money is." The big money is typically in the pockets of Boomers.